Film can be a gateway to explore complex ideas and an effective tool in building social and emotional awareness in viewers. Many in the industry praise the ability of documentary film to raise awareness among their audiences, and in some cases, that's enough. But by taking the film to audiences in impacted communities, stories can have the greatest impact. According to Education Week, films humanize issues and make the content “relevant to students' lives and can support truly meaningful discussions and activities, allowing students to find their own voices, making them stronger global citizens in a fast-changing world." 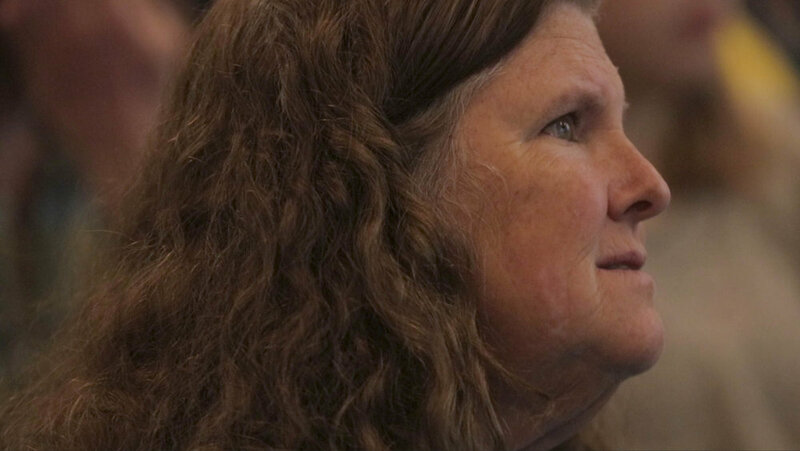 According to Sheila Leddy and Diana Barrett, directors of The Fledgling Fund, a leading organization in support of documentary films as tools of social change, “facilitated screenings might lead to a greater awareness of the issue and an increased willingness to become involved in the issue and in the community” thereby elevating the public discourse and creating greater social impact. Making a film is no longer the goal. We are now empowered – even obligated – to use film to educate and impact communities. 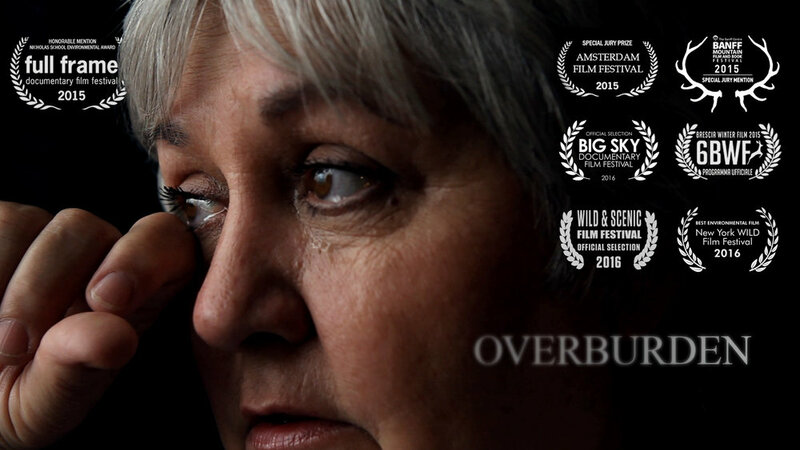 After ten years of film production and editing, it is now time to use OVERBURDEN as a tool of social engagement and education in order to empower disenfranchised communities, to examine the impacts of economic oppression, to question corporate power, to prompt constructive debate and to explore viable solutions. I hope to use this film and workshop experience to engage and embolden our fellow community members to organize and tackle local, regional and/or national issues. Each workshop is structured to create dialogue and discussion among participants and uses design thinking techniques to find solution-based strategies relevant to the participants. This project is made possible with support from the University of North Carolina-Chapel Hill Office of the Provost and the School of Media and Journalism. A primary goal in the creation of these workshops is to create an experience from the ground up – working with organizations and communities to create a workshop that is targeted to the audience and supportive and constructive. To that end, I partnered with Appalachian Voices, an environmental organization based in Boone, NC, to craft a workshop focusing on issues impacting communities in the region, specifically including gas pipelines, mountaintop removal and coal ash. In this workshop, we use OVERBURDEN and a short film, Robeson Rises, to highlight the power of grassroots community efforts to combat environmental injustice. "This workshop was enlightening, not only because of the documentary and the information shared, but because of the discussion facilitation by Chad and Amy (Appalachian Voices). They had different styles and backgrounds, which made the discussions richer. They stayed flexible with the workshop which allowed us to continue the complex and valuable discussions they help spark in our small groups." Created in collaboration with Appalachian Voices and Point Made Films, this workshop is a grassroots partnership. The goal in the creation of this workshop - and following workshops - is to work directly with impacted communities. Many other film-based engagement campaigns are top-down in structure. Development of this workshop hinged on the involvement of an organization that is both North Carolina-based and actively involved in community organization. 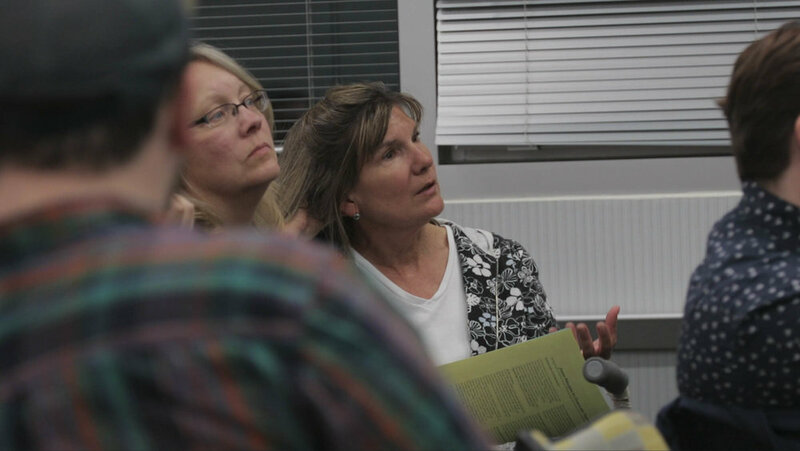 Appalachian Voices is a cornerstone environmental justice organization in the region, and leaders in this organization shaped the form and content of the workshop making it relevant and inclusive. To see the curriculum and content of the workshop download the Agenda and Keynote below. This guide is intended for use by educators and citizens who want to use the award-winning film, OVERBURDEN, to host screenings and critical discussions around environmental and economic justice issues. This 17-page guide offers resources, discussion prompts and instructions to facilitate discussions and empower action in communities. This discussion guide is a resource for those who want to use the film to engage with their communities around environmental and economic justice issues. The hope of this guide is to help you facilitate a constructive dialogue and to offer guidance on hosting screenings, facilitating conversations, posing dynamic prompts, and engaging audiences in your own community. Although the specific environmental and political issues addressed in OVERBURDEN are unique to that community, the themes are quite universal and can apply to any community – especially those poised to defend their communities against environmental injustices. Understand the scope of destruction caused by energy extraction industries. Challenge stereotypes and misconceptions of the Appalachia region. Recognize environmental injustice in your own community. Discuss ways to organize in your community as you explore solutions together. The OVERBURDEN team worked to create a film that (1) humanizes important issues that affect not only Appalachia but other disenfranchised regions in the U.S., (2) creates a conversation about corporate responsibility and economic justice, and (3) focuses our attention on the “othering” of the Appalachian people enabling the region to become a sacrifice zone of resource extraction. A prevalent conflict in the film is the coal industry’s destruction of the land through the mining process called mountaintop removal coal mining. Although this is an important issue, with more than a million acres of land destroyed since 2000 and the general consensus in the industry being that this is an acceptable “cost of doing business,” these curricula will not delve too deeply into this specific environmental issue alone. Instead the intent of these curricula is to explore the forces that cause the mindsets that allow this kind of destruction and ultimately the economic oppression that exists in Appalachia. To that end we will be exploring three major themes: Appalachia identity, environmental justice, and privilege. By exploring these themes we hope to evade the typical environment versus industry debates and uncover not only the “why?” behind issues affecting Appalachia but also some new ideas on how to avoid replicating the same mistakes in other communities around the country. Having grown up in Kentucky, I thought I knew Appalachia. I thought I knew what it meant to be a coal miner. I thought I understood the ways in which the land had shaped the people. I thought I knew what it looked like to raise a family there, to provide, to do what’s right. But after beginning this project nearly 10 years ago, I learned that it’s a place of coal and contradictions. This film is largely about those contradictions. For those on the outside, like myself, the answers seem easy. Coal is bad. Water is life. Don’t blow up the mountains. What’s hard to see from the outside is the reason folks are so dedicated to the very industry that ultimately, and statistically, ends their lives 10 years earlier than other Americans. This is because the region has been engineered to support only one economy, a coal economy, leaving families with only one option: a job in the coal mine. Even though that very coal company may blow up your land, it’s also the company that signs your paychecks, that gives you health insurance, and that feeds your children. And people fight fiercely to defend their families. In the process called mountaintop removal coal mining, “overburden” is a term used to define the rock, soil, trees and ecosystem that lie above a seam of coal. This overburden is blasted and bulldozed away to access the coal below. It is shoved into valleys, discarded, much like the people who live and work in those valleys are cast aside. The goal of this film is to humanize those people, to explore the complicated issues and to spark conversation that can move beyond the expected and polarizing debates and allow viewers to access an empathetic view of a people and a place that few Americans truly understand. In 2017 OVERBURDEN broadcast on the Reel South public television series. You can find it on your local public television stations or through the WORLD Channel. Transitions Film Festival (Australian Premiere). Melbourne, Australia. February 26, 2016. Brescia Winter Film 2015 (European Premiere). Brescia, Italy. December 15, 2015. Banff Mountain Film Festival (International Premiere). Banff, Alberta, CA. November 1, 2015. 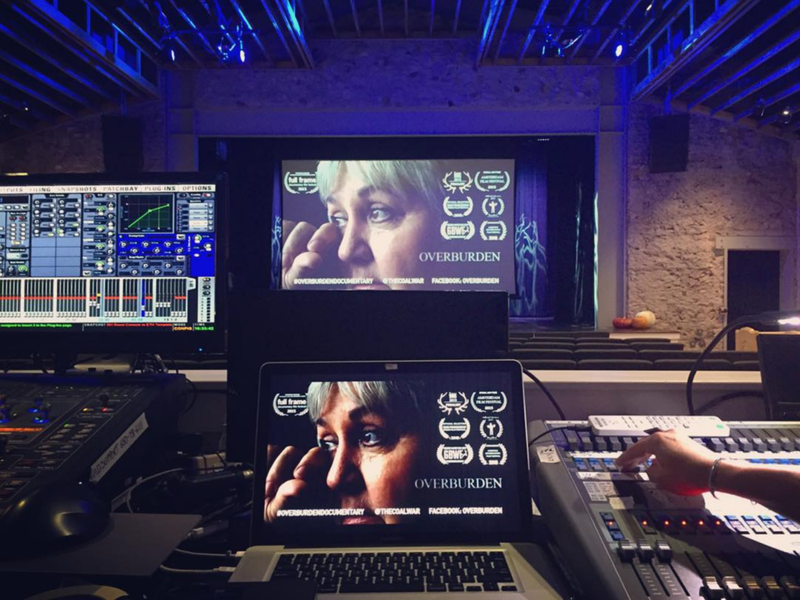 Lyons Film Festival. Lyons, CO. June 4, 2016. Rainier Independent Film Festival. Ashford, WA. May 15, 2016. Athens International Film and Video Festival. Athens, OH. April 9, 2016. The Environmental Film Festival at Yale University. New Haven, CT. April 9, 2016. Environmental Film Festival in the Nation’s Capital. Washington, D.C. March 21, 2016. Project Native Film Festival. South Hadley and Great Barrington, MA. March 5, 12-13, 2016. Big Sky Documentary Film Festival. Missoula, MT. February 24, 2016. Colorado Environmental Film Festival. Golden, CO. February 20, 2016. RVA Environmental Film Festival. Richmond, VA. February 6, 2016. New York WILD Film Festival. New York, NY. January 30, 2016. Wild & Scenic Film Festival. Nevada City, CA. January 16, 2016. Red Rock Film Festival. Canyon City, UT. November 7, 2015. American Conservation Film Festival. Shepherdstown, WV. October 24, 2015. Syracuse University Human Rights Film Festival. Syracuse, NY. September 25, 2015. DocuWest International Film Festival. Denver, CO. September 11, 2015. San Francisco Green Film Festival. San Francisco, CA. May 30, 2015. Full Frame Film Festival. Durham, NC. April 10, 2015.